Judging by its incredibly small market share, the numbers state mobile users aren’t to fond of Windows Phone 7 devices. It’s a shame too, as Microsoft’s OS continues to enhance and features the smoothest interface of all the mobile operating systems (Android, iOS). 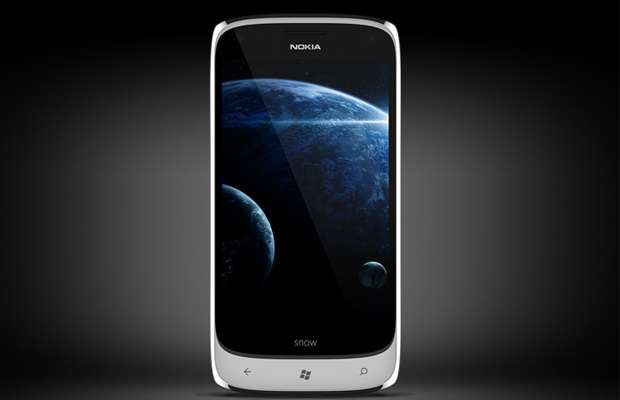 It’s good to see one designer Mohamed Madgy shares our POV, creating this sweet Nokia WP7 handset dubbed the Nokia Snow. The smartphone dons a sleek contoured glass veneer dipped in chrome that, to say the least, is far more attractive than the manufacturer’s Lumia 900 models. It sports a 4-inch Super AMOLED Plus display that delivers beautiful visuals and dons a whopping 14MP rear camera with a Carl Zeiss optics lens. Other notable attributes include a front-facing 2MP camera, microSD card slot, microUSB 3.0 port, HDMI port, and noise-cancellation microphone. Could of used Windows Phone 8, but we’re still impressed with the prototype. You can view more of Magdy’s concepts here and watch the Nokia Snow promo video below. Nokia, take notes.